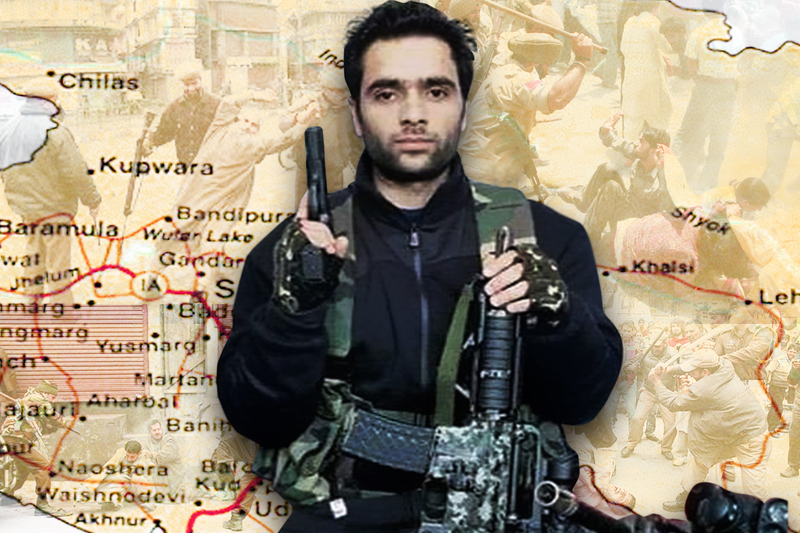 Twitter has been very instrumental in escalating and de-escalating tensions during the Pulwama Crisis of 2019 between India and Pakistan which started after a young Kashmiri attacked Indian paramilitary forces resulting in death of 40 Central Reserve Police (CRPF) soldiers on February 14, 2019. 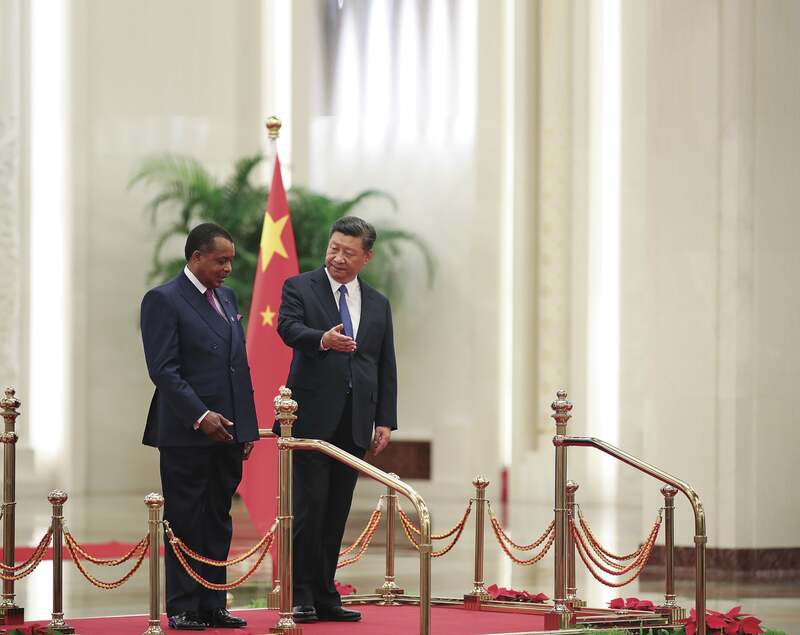 Politicians in both countries effectively communicated their emotions, resolve and information to their followers through short and crisp tweets, # hashtags and @ mentions to stimulate public mood and to raise, lower and maintain a certain level of emotional temperature. Pulwama was the first crisis between two nuclear-armed adversaries under the age of twitter where, though remotely, all things ‘nuclear’ factored in. 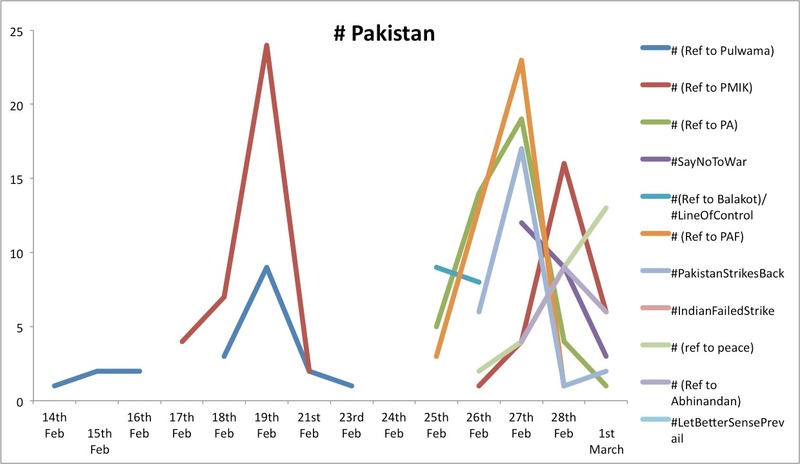 The content analysis of 1430 tweets, tweeted by a total of 169 Indian parliamentarians (117 including members of Lok Sabha and Cabinet ministers) and 52 from Pakistan (including members of National Assembly and Cabinet ministers) between 14th February and 1st March highlights vivid trends of escalation with few nuclear signposting from Pakistani side followed by steep de-escalation of tensions. 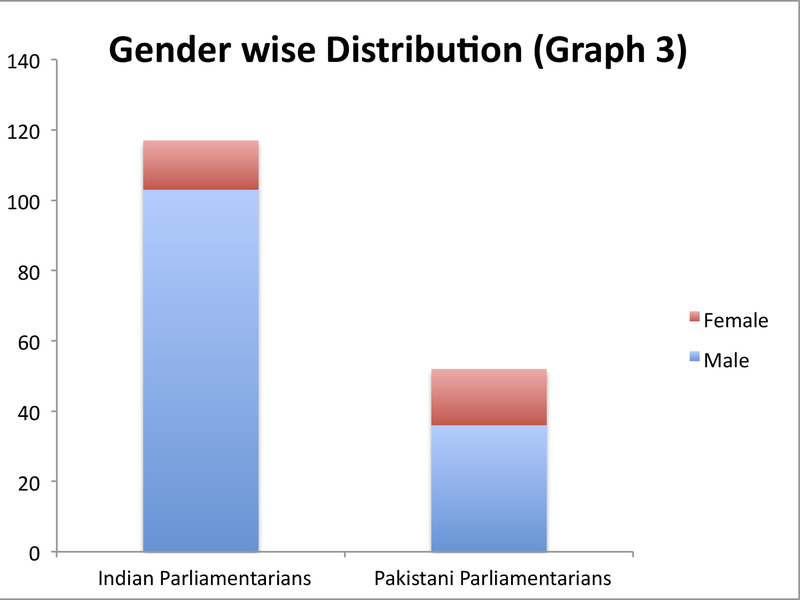 The distribution of data based on party, constituency state/province and gender is evident from the graphs 1, 2 and 3 respectively. The analysis includes an examination of positive and negative phrases, verbs and idioms along with the nature and frequency of hashtags and @mentions. The Pulwama attack instantly brought an accentuated negativity in the Indian tweets since the Valentine’s Day had turned into a national tragedy which aroused anger, anxiety and agitation nationwide with a resolve to avenge the attack ‘severely’, ‘decisively’ and ‘swiftly’. This was clearly evident from the inflated use of #Pulwama, #PulwamaTerrorAttack, #KashmirTerrorAttack, #PulwamaAttack, #KashmirAttack. Indian Parliamentarians praised the bravery of soldiers who died in Pulwama by using positive phrases, however, the juxtaposition of positive and negative phraseology in tweets between 14-18 February (see graph 4) plunged to scant negative phrases on 19th to help stimulate the Indian nation enough to click and spur action. 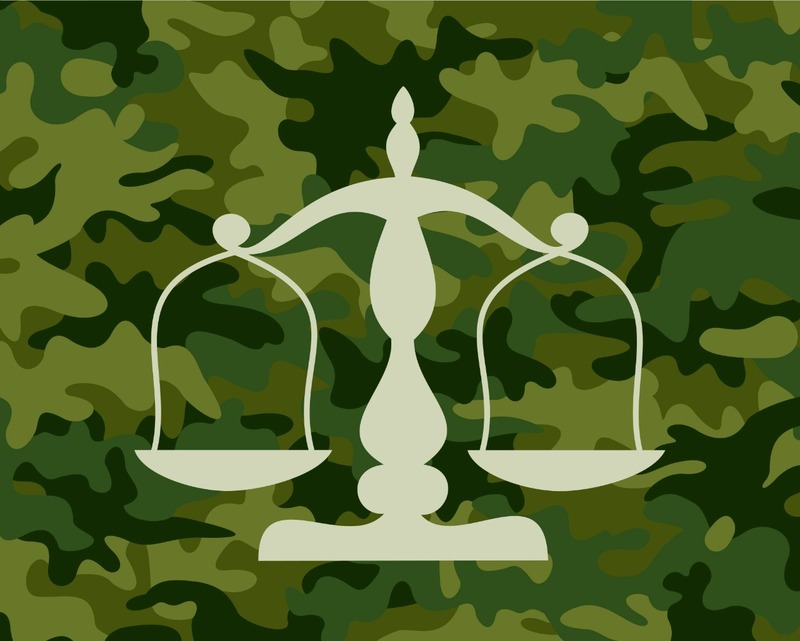 Idiomatic expressions to project national unity and CRPF’s ‘supreme sacrifice’ (depicted in increased use of #CRPF that fell drastically in frequency) demonstrated the resolve and an effort to sustain the momentum of making the nation feel indebted (implied in #NeverForgetNeverForgive) to pay back the CRPF sacrifices. The phrase ‘massive retaliation’ of Feb 14 transformed into ‘proper retaliation and deterrent action’ on 15 Feb indicating that Indian madness subsided, however, the phrase ‘a befitting reply’ continued to gain momentum. Tweets consistently mentioned @narendramodi, @PMOIndia that built pressure on the PM to respond. Parliamentarians frequently tweeted about India withdrawing the MFN status granted to Pakistan, Modi giving military ‘full permission/independence/freedom’ in order ‘to take a big step against Pakistan,’ and withdrawing security from Kashmiri separatist leaders that suddenly intensified tensions. 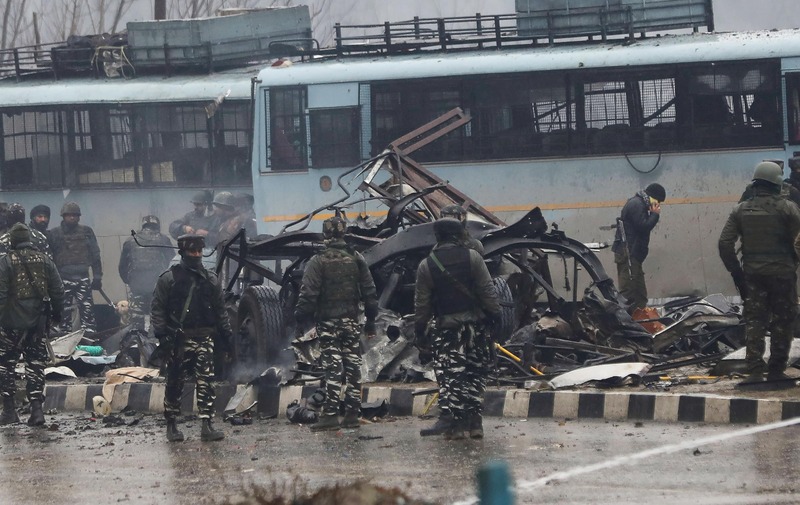 The intensity of hyper-nationalism on the Indian side reduced on Feb 16 when few Lok Sabha members highlighted Indian intelligence failure in Pulwama coupled with the failure of India’s overall Kashmir policy calling for introspection. From Pakistan, this line of thinking was already evident in Pakistani tweets from the beginning of the crisis where Pulwama was the result of ‘indigenous’, ‘home-grown problem’ and an act of ‘retaliation’ by a frustrated Indian youth. 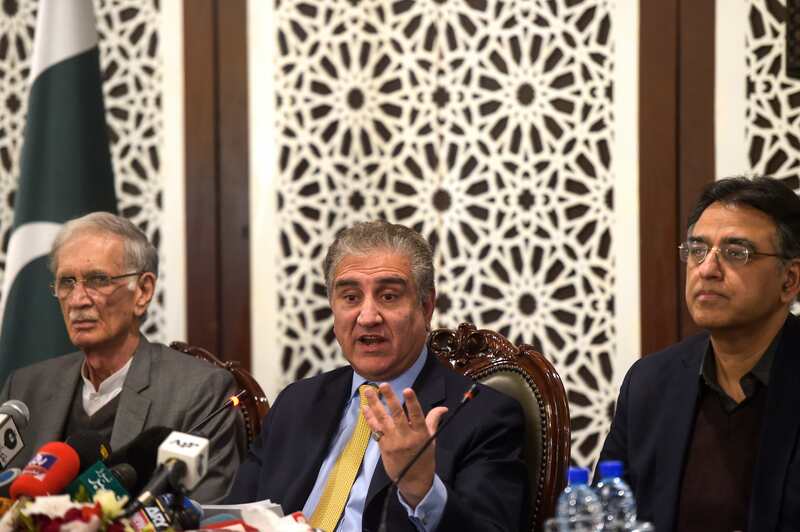 Pakistani tweets highlighted Indian human rights’ violations in Kashmir (the phrase ‘Indian State Terrorism in Kashmir’ continued to be used) as reasons for turning youth into Kashmiri icons like Wani and Dar urging India to review its ‘repressive’ Kashmir policy. However, the Indian morale remained high through consistent use of positive/nationalistic language (which increased on February 18 as shown in the graph) with careful use of modal verbs such as ‘will/shall/won’t’ to effectively exhibit the national resolve to retaliate by idiomatically communicating to the dead soldiers that their ‘sacrifice won’t go in vain’. Hence, reminding the nation that they now had the responsibility to avenge the blood of the CRPF soldiers (#PulwamaRevenge, #AvengePulwama). 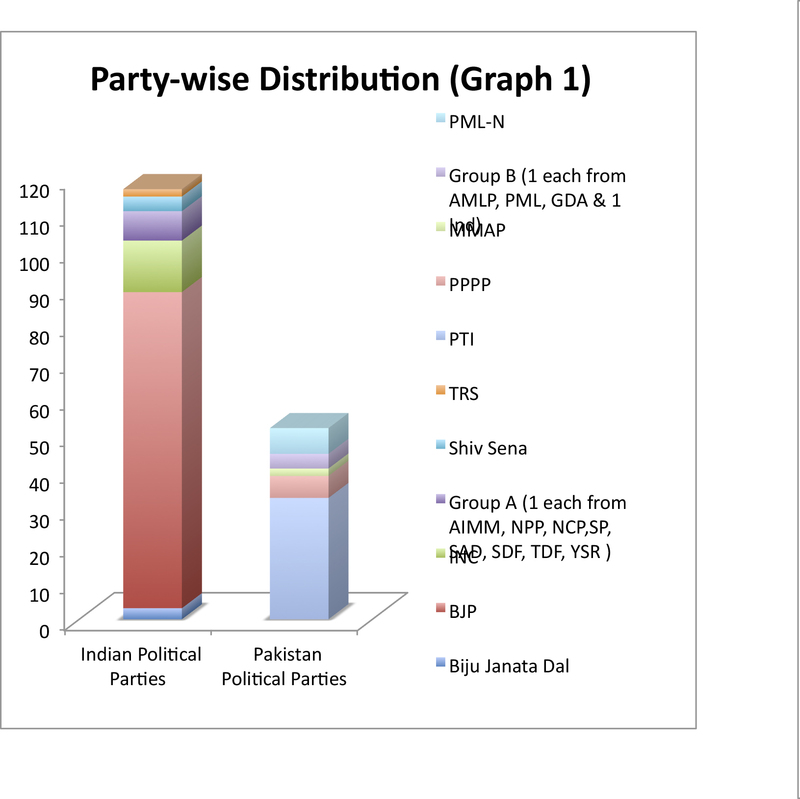 Comparatively, in Pakistan immediately post-Pulwama, a lot was going on. Pakistani parliamentarians were excited about PSL4 (Pakistan Super League Cricket) that had begun on Feb 14, and the upcoming visit of the Crown Prince Muhammad Bin Salman (MBS) (#CrownPrinceInPakistan, @KSAembassyPK, @KingSalman etc.) was talked about in the context of Pak-Saudi relations and the large investment opportunities it brought for Pakistan. Only one female National Assembly member tweeted with a hashtag (#Pulwama) on Feb 14 which gradually gained momentum in following days and others caught on. 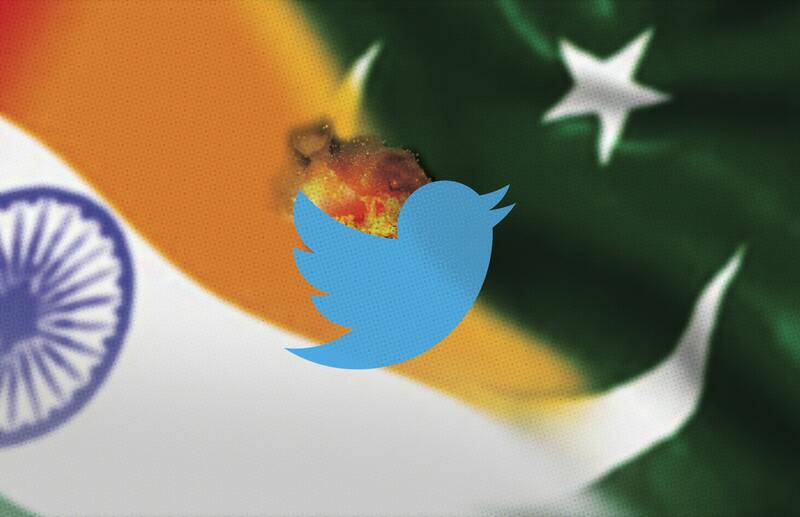 The negativity in Pakistani tweets was observed throughout the crisis primarily criticizing the Indian knee-jerk reaction of blaming Pakistan for Pulwama without evidence. Furthermore, Pakistan asserted that BJP was extracting political mileage from Pulwama as evident from frequent use of the word ‘elections’ in their tweets. The Indian National Congress’ tweets and occasional use of hashtags and mentions (@BJP4India, @BJP4Telangana, @BJP4UP etc.) by the BJP parliamentarians also reflected upon the linkage between hyper-nationalism at the time of the elections. 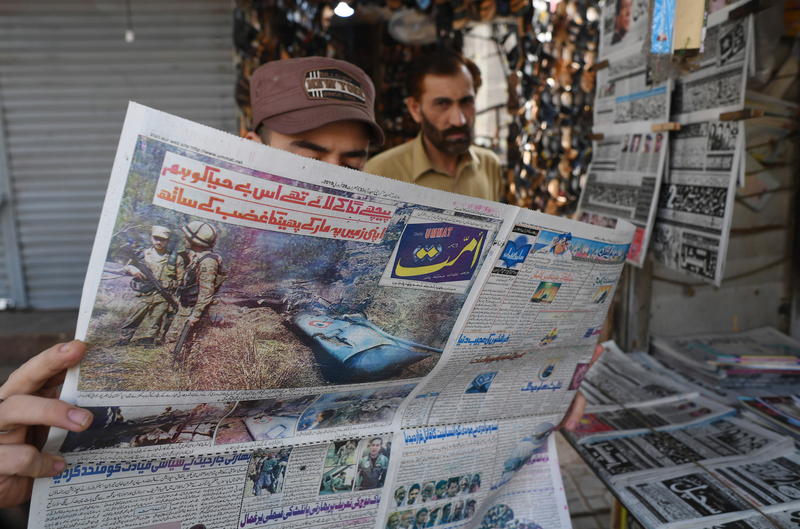 Post-Pulwama, Pakistani tweets projected their military as ‘battle-hardened’ and idiomatic phrases (such as ‘will send shivers down the spines’) were used to clearly demonstrate preparedness conveying the threat of retaliation if attacked. This undoubtedly raised the bar of tension. However, this tension was brought down by the talk of resumption of Indo-Pak dialogue by the Pakistani side on Feb 16 suggesting that peace needed to be maintained through dialogue. After seeing-off MBS, Pakistan’s Prime Minister Imran Khan addressed the nation on Feb 19 for which he was hailed on twitter with hashtags (#PMIK, #PMIKTheStatesman, @ImranKhanPTI etc). He offered India a dialogue on terrorism and asked for ‘actionable intelligence’ on Pulwama in support of investigating the allegations. 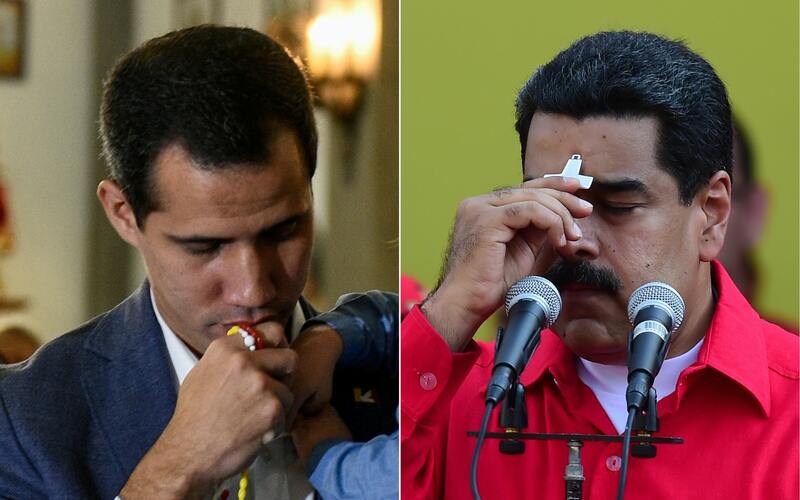 A clear contrast emerged in tweets of Feb19 that continued until the tensions were diffused. A clear contrast by now had emerged between the Indian side propagating war hysteria//‘glorifying war’ narrative and Pakistan’s side calling for peace and dialogue with its media responsibly reporting about the crisis showing ‘great maturity’. 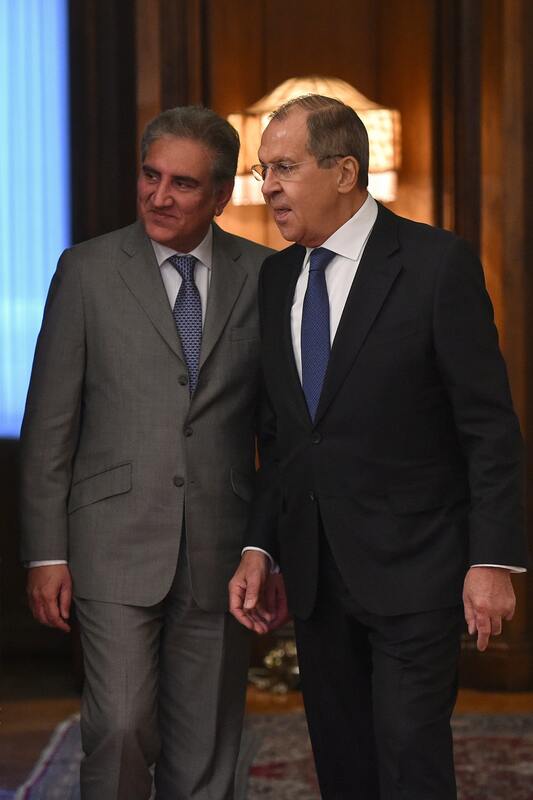 Subsequently, Pakistani side reiterated that the non-state actors should not be allowed to ‘sabotage India-Pakistan ties’ – a call which consistently was made during the crisis. There was consistent reference to the Indian atrocities in Kashmir (with occasional use of #Kashmir) to highlight the real face of Indian aggressiveness in IoK and to shame India internationally while highlighting the Kashmir issue. Pakistani tweets revealed the threatening posture (with references to ‘a befitting reply’/retaliation to Indian attack) hence raising the emotions of Pakistan which led to the demands by India to stop blaming Pakistan without evidence. With respect to retaliation, tweets reflected the mood of Pakistani parliamentarians suggesting that if attacked, escalation will take a life of its own and will not be in anyone’s control. Tweets clearly expressed that Pakistan as a state was ‘ready for investigation, ready for dialogue, ready for war’ with a hope that ‘better sense would prevail’. ‘Naya’ Pakistan was also branded as a state which was ‘not for proliferation of terror & war mongering’. The juxtaposition sustained with increased use of modal verbs as an expression of necessity that Pakistan ‘must’ (had to) retaliate to any Indian aggression (as a warning to India) and that there ‘must’ be a dialogue on terrorism and Kashmir. The hashtag #SayNoToWar appeared once on February 18 for the first time and then re-surfaced on 27th, 28th February and 1st March. 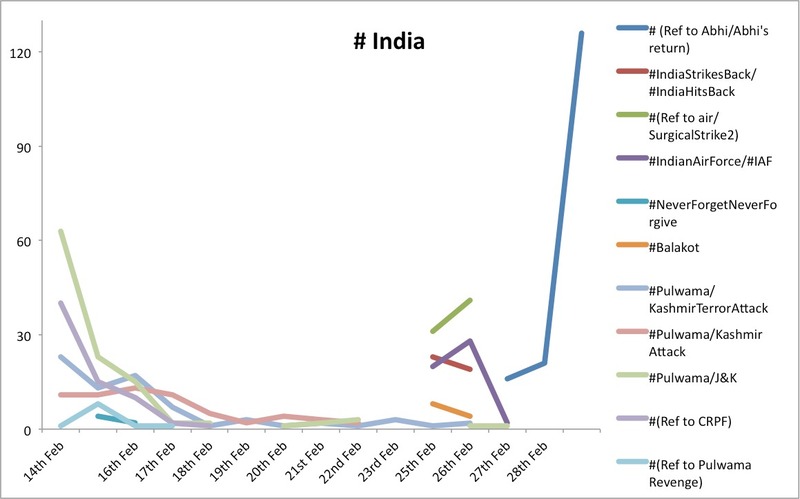 In India, from 19-23 Feb (with 24th being quiet), Indian parliamentarians appeared reticent on Twitter as was apparent from the low frequency of hashtags and tweets. However, a wave of intense rage appeared to be brewing. 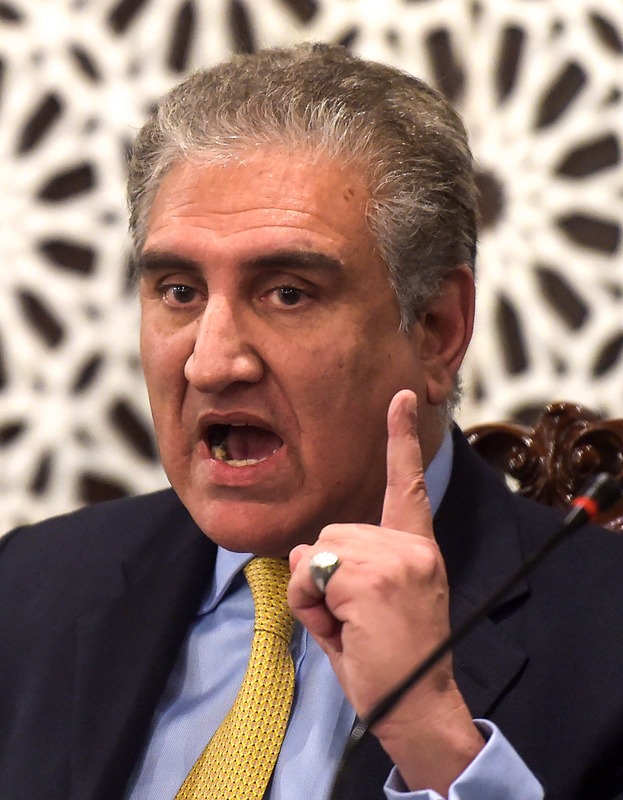 Criticism on Pakistan was considered as ‘the litmus test’ of Indianness (patriotism), coupled with threats to stop Pakistani waters (to which Pakistani tweets reminded Indians of the Indus Water Treaty on 21 Feb) helped Indian government maintain the level of intense emotions against Pakistan building Indian national morale hinting at India doing something big in days to follow. The daunting phrase ‘a befitting reply’ echoed on 23rd February highlighting the resolve that India ‘will not hold back’. Prime Minister Imran Khan’s threat of retaliation on 19th February did not deter Indian aggression. Hence, the tweets on 26th February were rife with hashtags of Indian airstrikes at #Balakot displayed in high frequency as #IndiaStrikesBack, #IndiaHitsBack, #airstrike, #SurgicalStrike2 and mentions of @IAF_MCC generating a wave of jubilation in India and arousing anxiety, agitation and anger in Pakistan. Indian tweets reflected intense (positive and negative) emotional outbursts after the Indian strikes took place. Lok Sabha’s craving for revenge for which it had been preparing the Indian public since Valentine’s Day, the day of the Pulwama attack, was finally satisfied. However, Indian strikes had now fueled Pakistani resolve to give India ‘a befitting reply’. The tweets clearly depicted the naivety (deliberate or unintentional) of Indian parliamentarians about the conduct of the Indian airstrike in Balakot (references galore to 1000 kg payload destroying buildings and killing hundreds) as well as international law violations. In contrast, Twitter helped Pakistani parliamentarians to quickly communicate to their followers the nature of the Indian airstrikes that destroyed a few trees and a crow with ‘no single [human] causality’ on ground. The pun phrase – ‘How is the Josh/Jaish?’, flagged early on 26th February which dramatically changed post-Pakistan’s retaliation. 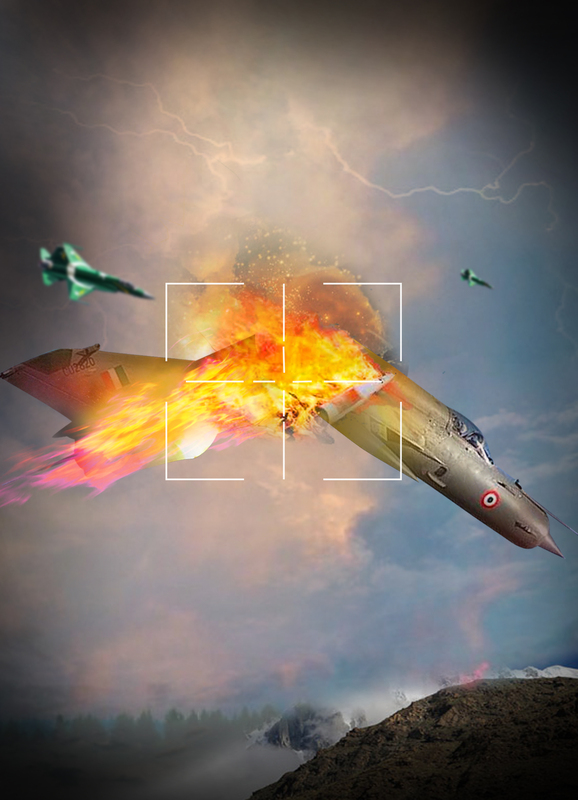 On 26th February, Pakistan responded by shooting down two Indian jets and capturing an Indian pilot who ejected on Pakistan’s side of the LoC. Pakistani parliamentarians stood united irrespective of their party affiliations with #PakistanStrikesBack and #IndianFailedStrike marking the day. In all this fervor, there appeared to be an astute downplaying of the fact that mainland Pakistan was hit by an Israeli-made SPICE bomb which never got mentioned in Pakistani tweets. 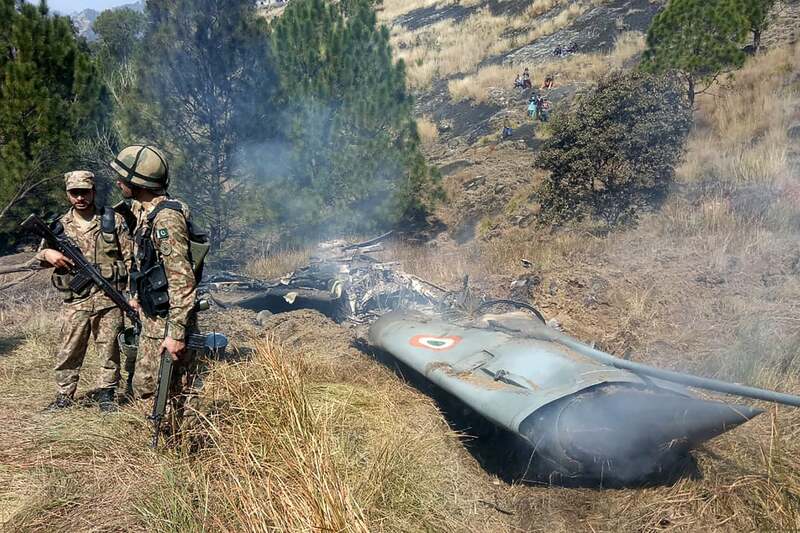 Although India did miss the alleged ‘target’ in Balakot, the overall fact remained that India had risked deploying its multi-role Air Force against Pakistan for the first time since 1971. A sense of calm and pleasure prevailed on the Pakistani side post-Pakistani airstrikes on 27 February, however, phrases like retaliation, strike (that dominated on both sides) reinforced the underlying tensions. One disturbing factor that appeared in Pakistani tweets from 21 February onwards was the adjective/phrase ‘nuclear’. 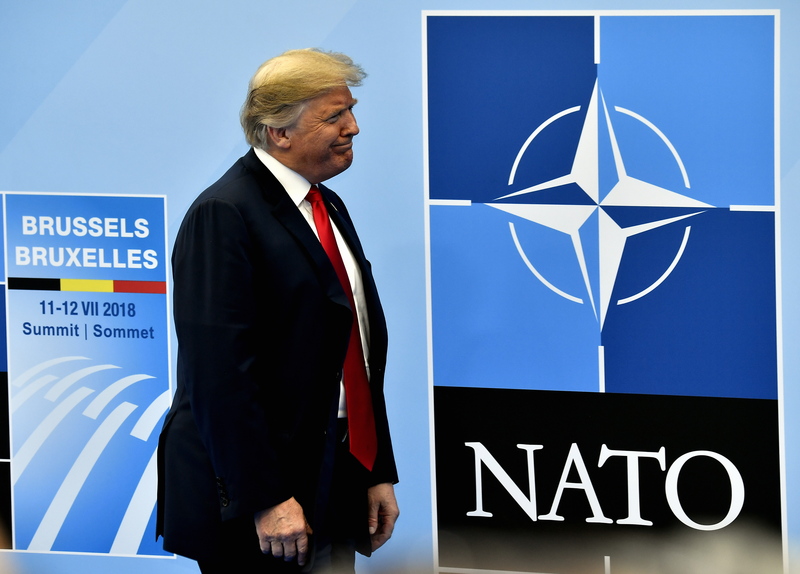 The signposting referred to (‘nuclear weapons’, ‘nuclear war’, ‘nuclear armed South Asia’ and also ‘force Pakistan to retaliate with full spectrum’). However, it often contrasted with labels of ‘sanity’ #LetBetterSensePrevail. The use of disturbing phrases was discomforting, unwanted and inherently escalatory. A ‘befitting & sensible’ response demonstrated the sense of jubilance from the Pakistani side. 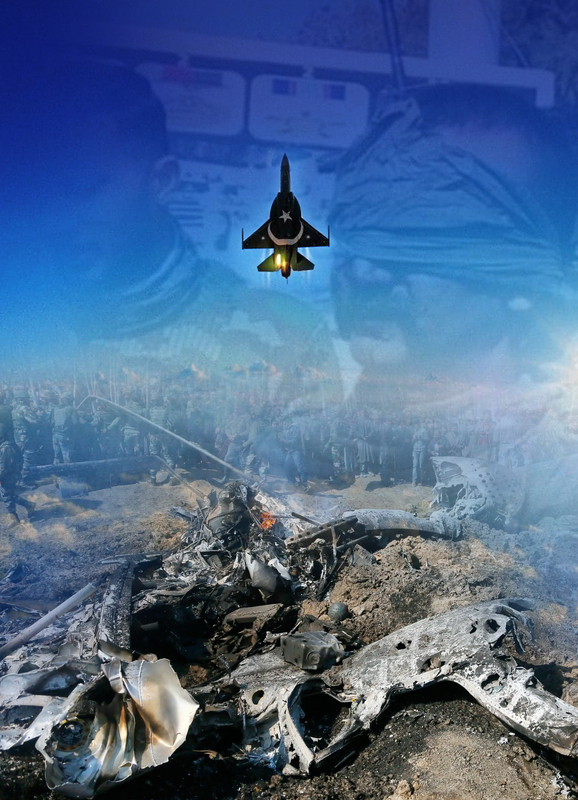 Even though the situation was tense and escalatory at the time, Pakistan’s decision to release the Indian pilot helped de-escalate the crisis. From there onwards, the mood changed on the Indian side from what it was on February 27 with tweets mentioning the release of the pilot #Abhinandan/#WingCmdAbhinandan as Indian victory rejoicing in his safe return to India acclaiming his bravery in shooting down a Pakistani F-16 (which remains disputed to date due to lack of evidence). At this point, the Geneva Convention was highlighted to educate and inform the audience about humane treatment of the captured pilot. Pakistan Army was hailed for its dignified treatment (serving the pilot a cup of tea) who was first ‘manhandled’ by the locals. The humane treatment and subsequent release of the Indian pilot as a gesture of goodwill and peace by Pakistan relaxed the mood on Indian twitter with few tweets commending Pakistan’s decision while other declaring it as Modi’s diplomatic win. 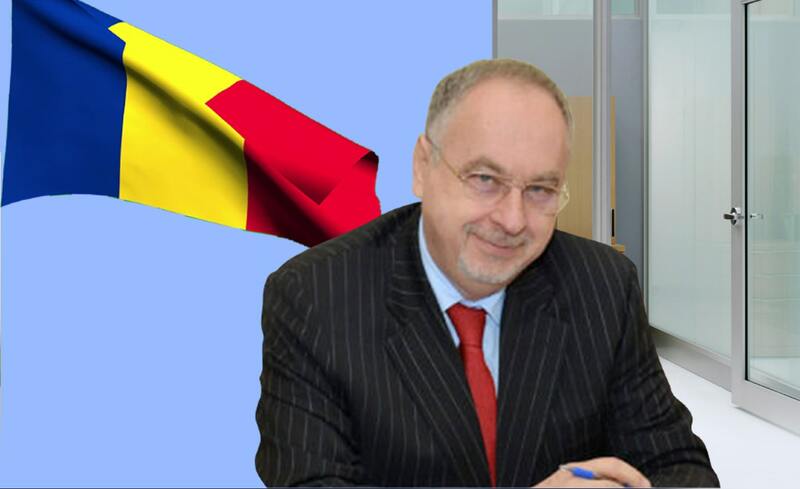 This brought the tensions down a notch in the crisis. 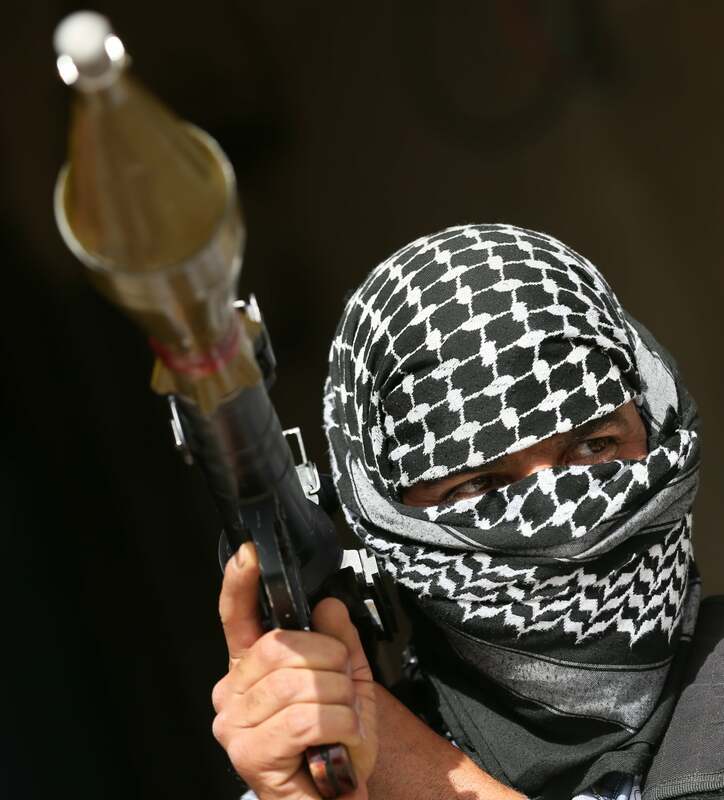 Few Lok Sabha members continued to build pressure on Pakistan referring to Pakistan’s proxies and cross-border terrorism, taking stern positions stating that Indian response to Pulwama would call Pakistan’s ‘nuclear bluff’. This is the only time the disturbing word ‘nuclear’ was used by the Indian side. With the graceful return of Indian pilot, Abhinandan (#WelcomeBackAbhinandan prevailed on 1st March). The twitter accounts of Lok Sabha/Cabinet members cheered Indians up and Pakistani tweets expressed pleasure at Imran Khan’s statesmanship, exercising the right to defend Pakistan, and the offer of dialogue to his Indian counterpart. 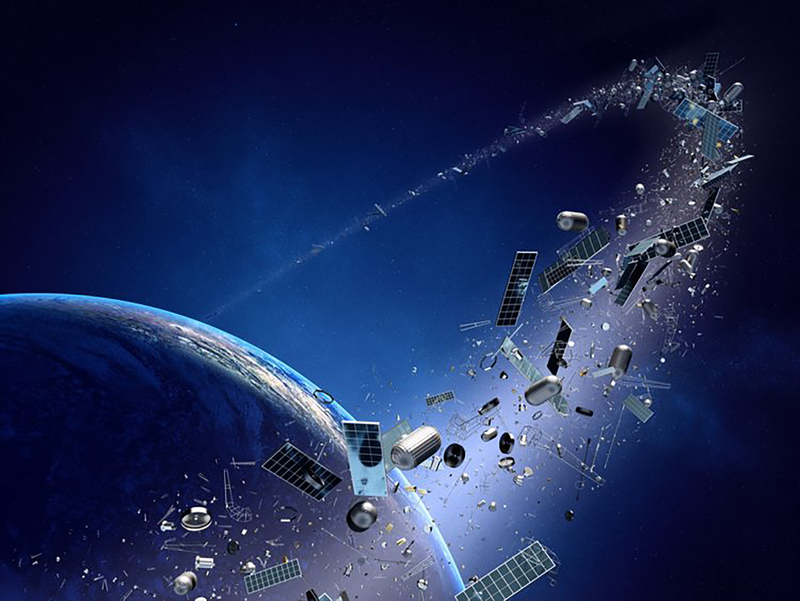 Overall, the analysis of tweets made by both sides during the Pulwama-Balakot crisis clearly demonstrates the instrumentality of Twitter in swift communication of emotions and information in order to build, sustain and reduce tensions. However, only responsible use of Twitter can keep countries with emotionally charged nations such as India and Pakistan from going to war with each other. Dr. Salma Shaheen is a Graduate Teaching Assistant at King’s College London.